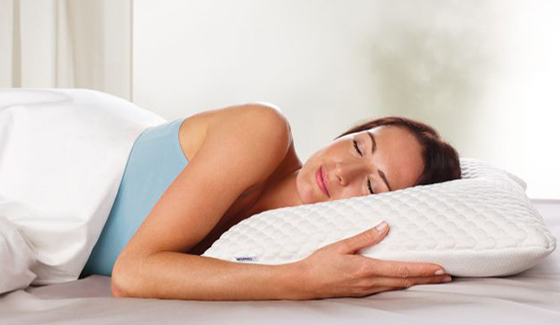 Filled with specially developed TEMPUR® ES (Extra Soft) material, the TEMPUR® Comfort Pillow Cloud provides an innovative balance of softness and support, mirroring the cushioning comfort of our TEMPUR® Cloud mattresses. We're so confident that TEMPUR® pillows will give you the best night's sleep of your life, that we're willing to let you try one in your own home for a full 60 nights. 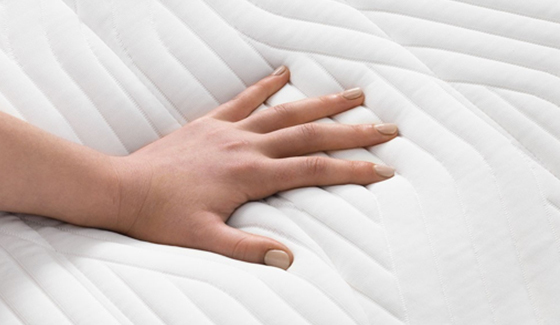 Every pillow has an easy zip-off cover which is machine washable up to 60©. Spare covers also available to buy should you need it. Everything inside your pillow, is made at our company owned production facilities. Our manufacturing processes are exclusive to our products. your head and neck will be cradled, as your pillow gently conforms to your shape. Encased in a dual sided cover, you can dress the Cloud Pillow up in your favourite bed linen because it fits in to a standard pillow case. Then fluff and puff it into the exact shape you want for a great night's sleep. Made with the same unique TEMPUR® Material found in our mattresses, our pillows provide complete comfort and support all night long. Your pillow is vitally important to your health and well-being. As a personal item, to keep it nice and fresh you can unzip the soft fabric cover to remove it for laundering. While one cover is in the wash, it's handy to have a spare so you can continue to get a great night's sleep. If you want to ensure your pillow is always at its best go to Spare Pillow Covers to add one to your order now. Whether you sleep on your back, side or front, the TEMPUR® micro-cushions which fill our patented pillow envelopes are both huggable and shapeable so you can fluff and puff a classic pillow until it is just right for you. While asleep you will still benefit from superior comfort and support. Can the TEMPUR® pillow be washed? The TEMPUR® pressure relieving material is composed of billions of visco-elastic spherical shaped, open cells. The cells respond to your body temperature and weight then shift and re-organise their position to mould to the exact contours of your body. It becomes softer in warmer areas (where your body is making the most contact with the surface) and remains firmer in cooler areas (where less body contact is being made). Due to the removal of pressure, blood is able to flow freely throughout the night, making you toss and turn less - in other words - you get a better night's sleep.